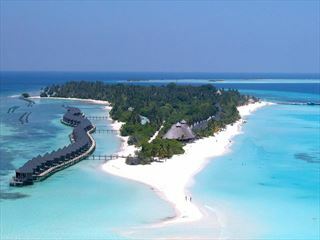 Begin your holiday in the North Ari Atoll of the Maldives, in the tranquil resort of Ellaidhoo Maldives by Cinnamon. 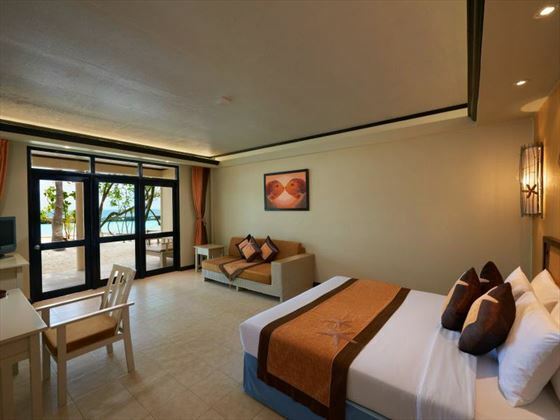 A great choice for couples looking for an exclusive get away, this resort offers high levels of service and accommodation. 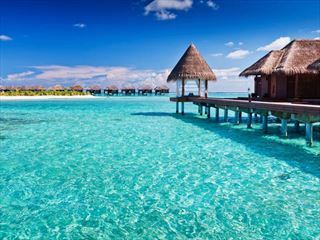 The All Inclusive package includes meals, snacks and drinks, or you could upgrade to the Premium package giving you additional benefits such as special dinners, complimentary excursions and spa treatments. 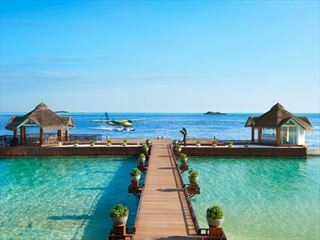 After relaxing in the idyllic Maldives, you'll have bags of energy to enjoy Dubai. 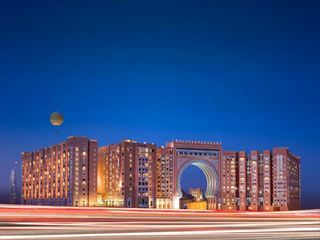 The Movenpick Ibn Battuta Gate has a wonderful range of restaurants to choose from, plus a rooftop poolside bar for al fresco fun. You'll also have access to the Oceana Beach Club just a few minutes down the road, where you can soak up the atmosphere and enjoy a cocktail by the ocean. 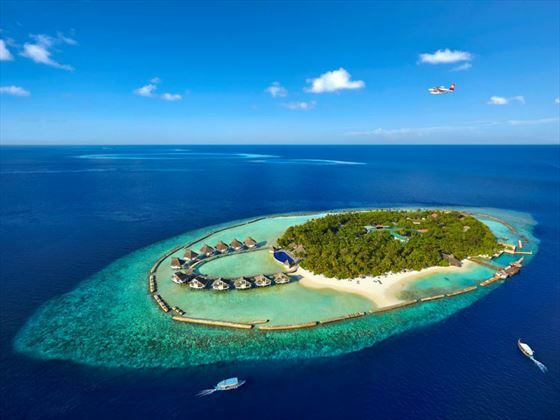 You will love this Tropical combination, but if you'd rather stay a few more nights or choose a different hotel, then just call and we can tailor-make your holiday just for you. 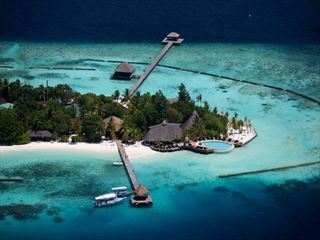 We have created this All Inclusive holiday with seven nights in the Maldives at the beautiful Ellaidhoo Maldives by Cinnamon followed by three nights at the vibrant Movenpick Ibn Battuta Gate in Dubai, but if you'd like to stay for a different number of nights or add another resort, then simply ask. 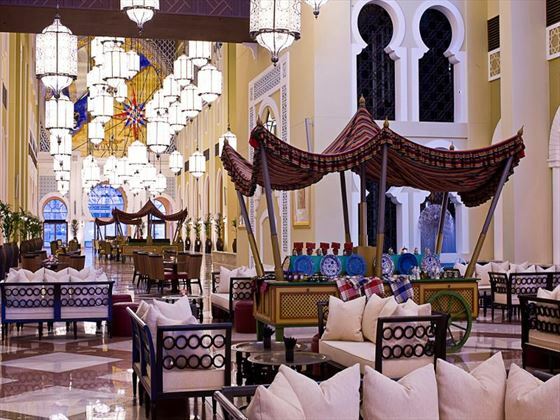 Unrestricted a la carte, buffet dining and house drinks in all Movenpick Ibn Battuta Gate bars and restaurants. Alcoholic drinks available on a daily basis from 12 noon – midnight with 20% discount on all premium brands, except for Champagne. Free shuttle bus to and from Oceana Beach Club. Daily adult allowance of AED200 available at the Marina Beach Bar plus 20% off regular prices. 20% discount at Oceana Beach Club NYC West 14th Restaurant and 20% off premium brand drinks at West 14th bar. VIP airport transfers by private car. Daily round trip transfers to Oceana Beach Club by private car. Fully-stocked mini-bar and bottle of Champagne on arrival. Access to the Executive Lounge. A complimentary massage at Safar Spa. 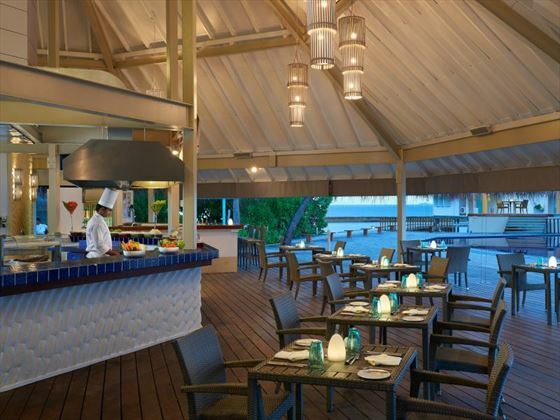 Movenpick Oceana Beach Club: unrestricted food and drinks from the all-inclusive menu (11am – 6pm). 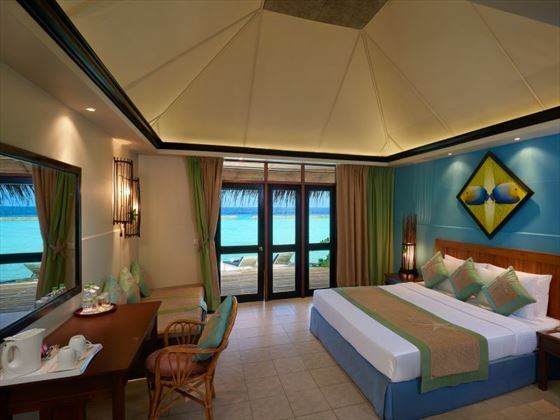 Get ready to experience true relaxation at Ellaidhoo Maldives by Cinnamon. 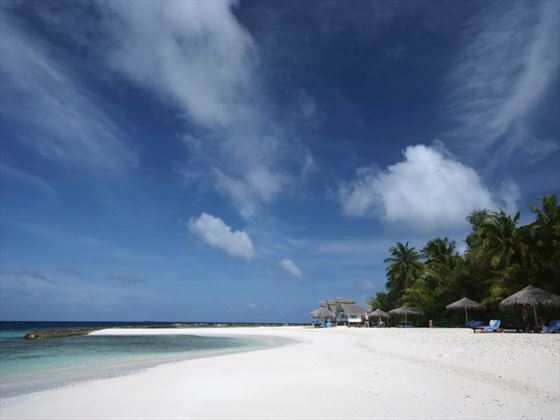 This tranquil resort is based on an island in the North Ari Atoll and is blessed with unspoiled white sand, gentle lapping waves and a peaceful vibe. 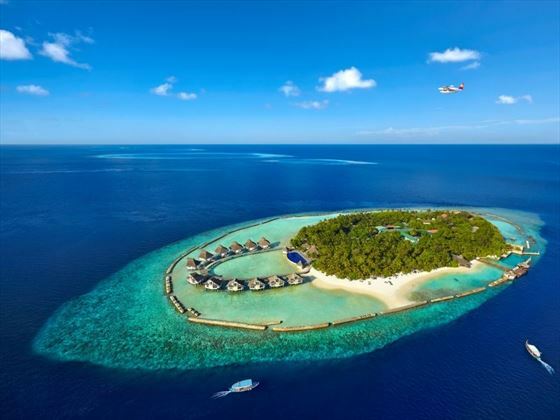 But this is more than just a vision of Maldivian paradise with nothing to do all day but lounge on the beach – there is a great variety of activities to keep your entertained on your vacation. There are tennis courts and beach volleyball pitches if you’re looking for a little sport – alternatively, the on-site fitness center is perfect if you’d prefer to workout. 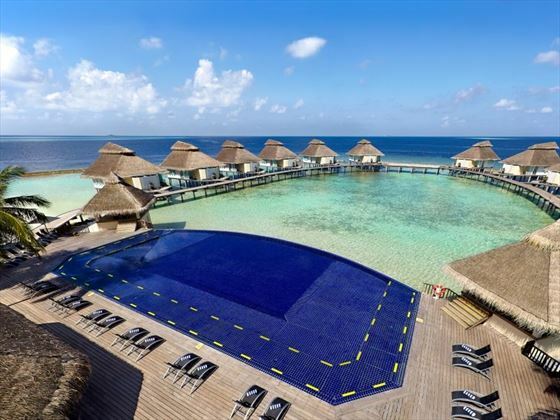 Top Tip: The Water Bungalows offer more than just a romantic room option – if you upgrade to this room type you’ll receive access to the stylish Malamathi restaurant. 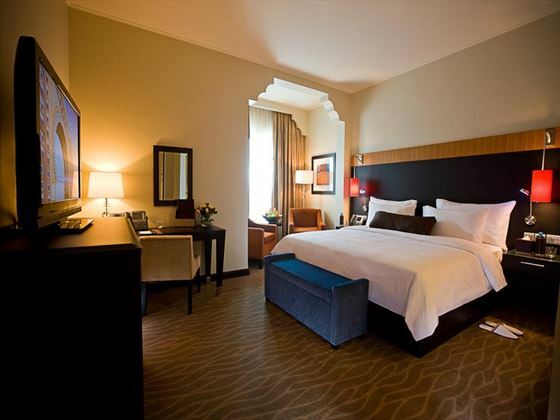 Sitting in a quiet district, Dubai’s Movenpick Ibn Battuta Gate is one of our most popular hotels. 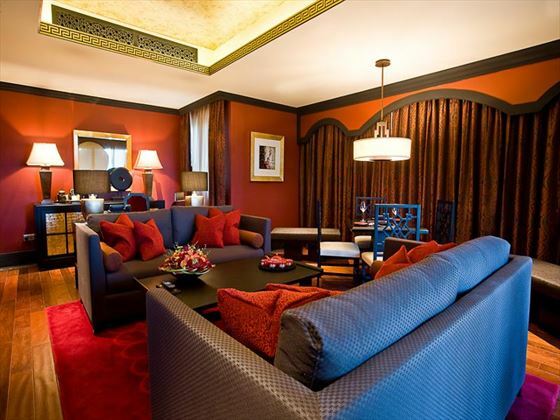 It offers the lavishness of Dubai at a fantastic price. 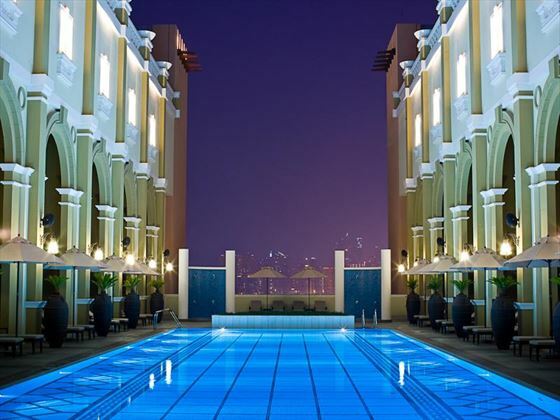 We love the Arabian-themed luxury complete with beautifully decorated rooms and rooftop pool. 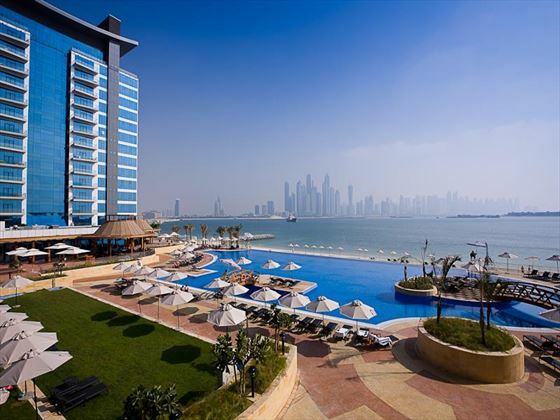 But one of the best features of Ibn Battuta Gate has to be the Oceana Beach Club on the Jumeirah Palm, just 15 minutes free transfer from the resort. 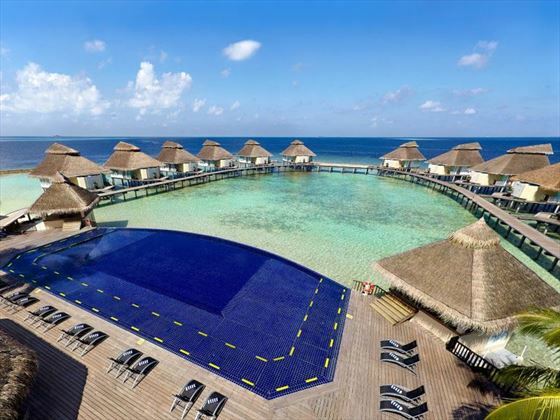 This private club features a gorgeous sandy beach, infinity pool and lazy river. We think the range of restaurants is excellent, both on-site and at the Oceana Beach Club – fragrant Indian cuisine, delicious European options and Middle Eastern delicacies. If you’re looking for a taste from home, the resort offers discount at Oceana Beach Club’s West 14th New York steakhouse too. 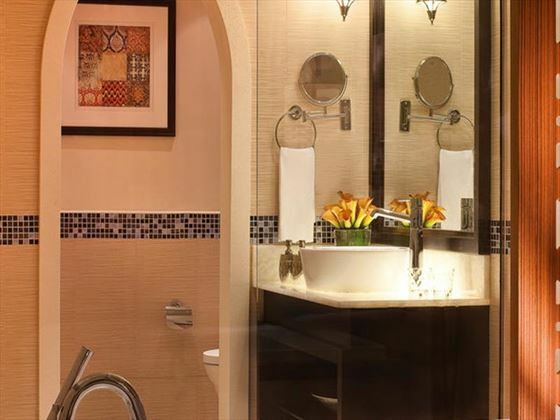 It’s worth remembering that not all of the rooms offer a great view, so consider upgrading if you’re looking for a more romantic or luxurious experience. 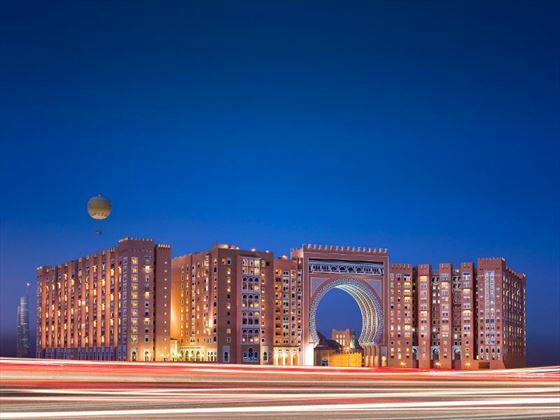 Top Tip: The Ibn Battuta Mall next door is not as glamorous as the huge city center malls, but it contains a broad range of interesting stores.